Natural Pink Australian Clay is at the core of this soothing facial cleanser/mask in an all natural cream base soap. Australian pink clay can be appreciated by all skin types even the most sensitive or mature. The AHA (lactic acid) clay gently sloughs off dead skin cells and contributes to the creation of a brighter complexion and a more even skin tone. This facial wash/mask balances, improves the texture, detoxifies and gives a youthful appearance to skin. 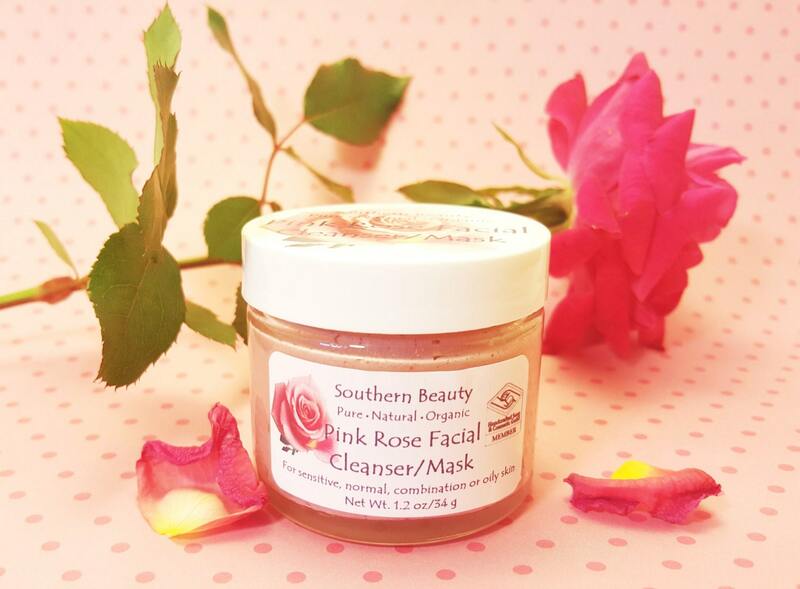 Rose Essential Oil is included to calm and soothe skin. This luxurious skin cleanser will make you feel like a pampered princess.